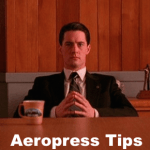 Chatting with the Fine Folks at Aeropress Inc. – Q & A Time! We’ve been big fans of the Aeropress coffee maker for a long while now, and today we had the good fortune to actually pose some of our most burning questions to Constance, who works over at Aeropress, Inc. in their marketing department. She was kind enough to chat with us and answer all of our many questions about their amazing product that has been producing some of the best brews on the planet. And what can we say? We really enjoyed this chat with the folks at Aeropress! Here is that Q & A now. Enjoy! For fans of the Aeropress, this might seem obvious, but what do you think makes the Aeropress so popular around the world? The fact that it makes a truly delicious cup of coffee! Time and again, that’s what our fans tell us is their favourite thing about the AeroPress. People also like how quick the brewing process is and how easy the AeroPress is to clean. Aeropress sells in over 60 countries, which is amazing. How does that work? Does Aeropress make all of the Aeropresses on the market, or do you work with some subsidiary companies? We are the only official manufacturer of the AeroPress coffee maker. We manufacture the AeroPress in the USA and we work with our official importer-distributors in over 60 countries to ship AeroPresses all over the world. Another obvious question perhaps, but what do you think makes the Aeropress so popular when it comes to taking it camping and or using in outdoor situations? It’s compact, durable and lightweight, so it’s easy to carry around and almost impossible to break. We also make a version that includes a travel tote bag, making it even easier to take with you on trips. We see a lot of people on Facebook and Instagram post photos of themselves brewing in the great outdoors with the AeroPress. What were some of the highlights you’ve experienced in recent years about the World Aeropress Championship? Also, how has that event changed since its inception? The sheer growth of the W.A.C. has been extraordinary to watch! The competitions are entirely fan-organized and fan-run, so they’re an organic expression of the enthusiasm of the AeroPress community. The W.A.C. started in 2008 as a casual, lighthearted competition with only three competitors, but as of last year, it had grown to represent competitors from 59 countries around the world! In last year’s season there were 117 competitions total (59 national and 58 regional), 3,157 competitors across all the events, and 68,265 spectators watching all of those competitions. You can read more about the W.A.C. and find a 2018 season event near you here: https://www.worldaeropresschampionship.com/2018-events/. Aeropress seems to have its own culture of diehard fans, which is cool. What does Aeropress the company have to do with this? Do you actively involve yourself in events with fans, do any extra promotion to promote Aeropress-mania, or do you just sit back in amazement and watch as the Aeropress community does its own thing? The AeroPress community is almost entirely fan-driven, which makes it very special! We do sponsor many events, from regional “latte art throwdowns” to major coffee industry events, because we love being part of the coffee community. Our biggest official involvement in fan events is that we sponsor all regional and national United States AeroPress Championships. We also make special gold, silver and bronze colored AeroPress trophies for every single regional, national, and World AeroPress Championship around the world, and ship them out from our headquarters in California. Seeing as how there’s a multitude of ways to brew coffee with an Aeropress, do you endorse this type of creative freedom, or do you tell people to stick to the instruction booklet? Our official recipe makes an absolutely delicious cup of coffee, and many people tell us they’ve used it for as long as they’ve had their AeroPress. Our suggested brewing parameters — a finer grind of coffee, a shorter brew time, and a lower water temperature — make for a rich, flavorful cup that’s low in bitterness and acidity. Taste is certainly personal, though. There’s no right answer to the question of how to brew a particular coffee, and there’s certainly no right answer for how to brew all coffees. The versatility of the AeroPress is something many coffee drinkers love about it, and of course it’s given rise to the many amazingly creative brewing recipes of the World AeroPress Championships. With all that said, though, we think our official recipe is a great one for most coffees. 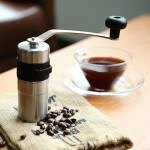 Are there any particular coffee grinders you guys endorse to go along with the Aeropress, or is it up to consumers what grinder they use with the Aeropress? Certainly, some are better suited to matching the product, however, Aeropress doesn’t make their own grinder at this point, does it? We don’t recommend any particular coffee grinders for the AeroPress, and we don’t make our own grinder. The uniformity of the grind is very important when brewing with the AeroPress, though, and better-quality grinders are better at grinding uniformly. As to grind size, we recommend using a fine drip grind or an espresso grind. Espresso grind takes longer to press and requires skill and patience for multiple scoops, but it makes a richer brew more quickly due to more particle surface area. Aeropress even has what seems to be an art sub-culture, with some really cool results that we’ve seen all over the internet. What do you think of that phenomenon? We love it! We’ve seen drawings, paintings, and even tattoos of the AeroPress. AeroPress fans are an incredibly creative and artistic group of people. That’s very much on display in AeroPress Championship posters, too. Every official AeroPress Championship event creates its own poster, and the array of art styles is amazing to see. What was the most important change to the Aeropress in its entire lifetime that made it better, or has it been essentially the same since the beginning? The shape and size of the AeroPress today are the same as when it was invented. The only major thing we have changed is the material we use to manufacture it. When we first began making the AeroPress, we used polycarbonate. When we learned about the consumer health concerns associated with BPA, we had the polycarbonate tested by an independent lab. No BPA was leaching from the AeroPress into the brewed coffee, but we still decided to switch to using copolyester in order to assure customers of a BPA free material. In 2014, we switched to a more durable material, polypropylene, which is what we use today. Polypropylene is free of BPA and phthalates, and is FDA and EU approved for use in contact with food. We have a complete explanation of AeroPress materials here: https://aeropressinc.com/materials-used-in-theaeropress-coffee-maker/. 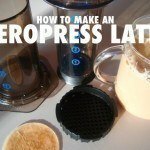 If a cafe serves Aeropress brewed coffee, specifically, how do they get on this page: https://aeropressinc.com/cafes-that-serveaeropress-brewed-coffee/. Surely there are qualifications for getting on here besides just saying they do it? Our goal is to list every cafe we know of in the world that serves AeroPress-brewed coffee! Cafes that serve AeroPress-brewed coffee should email info@aeropressinc.com to send us their details. Are there any countries in the world that you’ve noticed that Aeropress has caught on with recently that has surprised you? No country in particular has surprised us, but we have been excited, amazed and humbled to see just how many people around the world truly love the AeroPress. To give you an idea, there have been AeroPress Championships held on every continent except for Antarctica, and 59 countries participated in the 2017 World AeroPress Championship! Can you tell us a little about BPA-free materials and how important they are in the manufacturing of the Aeropress, like copolyester and polypropylene? 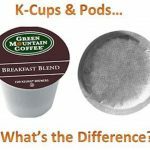 I spoke to the BPA question in my answer above, and you can also see how the AeroPress has changed over time by reading our article here: https://aeropressinc.com/materials-used-in-theaeropress-coffee-maker/. Are you still using polypropylene for the product mainly, and are there any plans to change that? 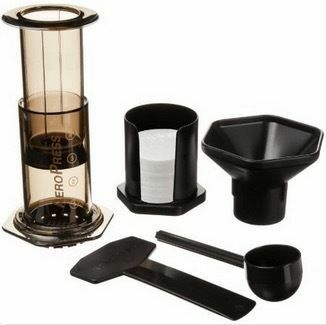 I mentioned polypropylene in my answer above, and you can also see how AeroPress materials have changed over time by reading our article here: https://aeropressinc.com/materials-used-in-theaeropress-coffee-maker/. Has counterfeiting ever been a huge problem for you guys? 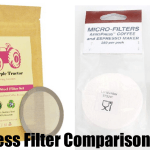 Unfortunately counterfeiting is a common problem for many products nowadays, and we have seen some counterfeits of the AeroPress (usually being sold online). The best way to avoid buying a counterfeit AeroPress is to buy from one of the authorized retailers listed on our website. We have lists of both walk-in (https://aeropressinc.com/where-to-buy/) and online (https://aeropressinc.com/where-to-buy-the-aeropress-coffee-maker-online/) retailers around the world, as well as a list of our official importer-distributors in countries outside the USA (https://aeropressinc.com/aeropress-coffee-maker-importerdistributors/). We don’t have any official advocates, but Tim Ferriss (in his book The 4-Hour Chef) and Alton Brown (in his recent book EveryDayCook) have both independently praised the AeroPress! Finally, is there a particular coffee bean that you thinks makes the best Aeropress coffee or does it all come down to technique? No particular coffee comes to mind as the best one to brew in an AeroPress. Here at AeroPress HQ we are always trying new coffees, and we have yet to find a coffee, either single-origin or blend, that doesn’t taste delicious when brewed in the AeroPress! So concludes our chat with Aeropress. Now that our questions have been answered by a pro, we are off to…yes, brew some delicious Aeropress coffee with a new appreciation for both the coffee maker and the brew.